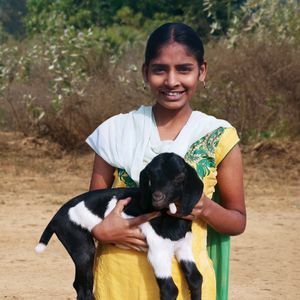 Save a rural family from hunger by blessing them with a goat. It's one of the best presents to give. Hearty and easy to raise, goats are a great way to help a family increase their income. Selling one goat is very profitable and can provide a family with their basic needs. With the money earned from the sale of a goat, a family is able to pay for school, food, and other necessities.